Our lives are filled with people. Be it our friends, family, relatives, or any other social circle; we are surrounded by people – wanted or unwanted. Unwanted people are those who cross our paths to make it miserable, to make our lives bitter, or to lay difficulties in our path. They are those people who do not want us to grow and are always creating troubles for us. It is essential for us to remove them so our path becomes clear and easy. 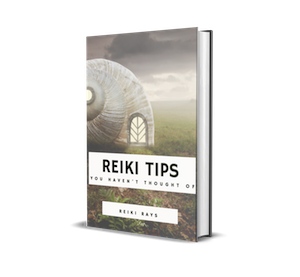 Though it is troublesome to do so but with Reiki, you can do wonders. Step 1: Create a clear and positive space. You can use sage incense sticks or burn sage leaves to clear it or you can use sandalwood incense sticks to do so. Step 2: Take deep breaths to calm yourself down first. Step 3: Create a safety net around you. Visualize yourself surrounded by a white light so no negative energies can invade your positive space. Step 4: Start Reiki as you normally do. Step 5: Set intention that all unwanted people are leaving your life on their own. Step 6: Repeat this intention and with it, visualize all the unwanted people walking away from your life. See that they are leaving without creating any troubles or obstacles for you. Step 7: As they are going away, the ties they have created with you are also melting away and getting buried in the ground. Step 8: You can do this for individual persons one by one or all of them. Step 9: Keep visualizing until all of them are going. As they leave, there is a white light flowing in, which is helping you to ground yourself. Step 10: Once the process is complete, open your eyes. Thank your Guru, Reiki, and Angels for helping you through it. Sometimes the unwanted people come with too many negative energies. In such case, you have to repeat this process for 4-5 days to get rid of them completely. Let your intuition guide you for it. Share your feedback with us in the comments below. Thank you very much for the wonderful and simple steps. What if we come across such people quite often? Good article. I am a lot confused with healing and karma stuff. One question that was bothering me is, the person whom we want to leave us is present in our life because of our karma and if we ask them to leave then where does our karma go. Don’t we have to pay back in a different way which might be a bit better than this or worst than what we were experiencing with this person.